Two Massachusetts siblings were killed after being trapped in an old hope chest and officials are using this incident as a sad reminder of the risks associated with dangerous and defective products in Massachusetts and elsewhere. Oftentimes, recall information never makes it into our homes and these products are never addresses and removed, still posing serious risks to our families. “The majority of children’s products that are recalled remain in use,” said Nancy Cowles, executive director of Kids in Danger. As a matter of fact, officials believe that only 30 percent of defective products are ever properly repaired or returned to the manufacturer. Unfortunately, defects are not familiar to the consumer eye until it’s too late. In the recent incident, 8- and 7-year-old siblings were trapped in an old chest, manufactured by Lane Furniture Company back in 1939, and it could not be opened from the inside. Back in 1996, more than 10 million of these chests were recalled by the company. This recall came after the company received nearly 10 incident reports in which children were stuck inside and suffocated. Officials with the Consumer Product Safety Commission (CPSC) and officials with the company sent out another recall in 2000, after receiving reports of two additional fatalities and two near-deaths, according to NBC. Investigators are still trying to determine how the victims got into the chest, but so far believe the tragedy to be an accident. Their obituary says Lexi loved to dance and sing and play with her doll, Julia. Sean loved to play with his Lego Star Wars, to go fishing and to eat Fluff. They are survived by their parents and three sisters. The recall of this chest was one of the CPSC’s largest recalls on children’s products. Recalls from the Commission have covered million on popular children’s items, including play yards, drop-side cribs, roll-up windows, lead-containing jewelry and bassinets. The chests might be a little different though because they are oftentimes ignored more than others, kept in families for years as heirlooms. Families are urged to check their homes for these chests and to either remove them to lock them. You can even get a free repair kit from the company. 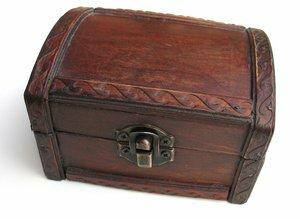 Parents and grandparents need to know that these chests were recalled years ago and they need to dig in their keepsake belongings to see if they have one. We need to take full advantage of this tragedy to prevent anymore children from dying. “A recall of 12 million units is so large, we know there’s going to be products that remain in homes,” said Scott Wolfson, spokesman for the CPSC.